Detlef Rossmann: "I’m afraid small cinemas won’t be able to make it"
Interview by Emma Deleva with Detlef Rossmann, President of CICAE. The original French version was published in Ecran Total/Cahier des Exploitants, 29 February 2012.
by Elisabetta Brunella, published in the "Giornale dello Spettacolo"
"A Londra confronto sul cinema digitale"
by Enrico Di Mambro, published in the "Giornale dello Spettacolo"
no. 8 of 18 April 2008. "Spesa e contenuti alternativi, grandi gruppi e piccole realtà"
by Daniela Giammuso, published in the "Giornale dello Spettacolo"
no. 7 of 4 April 2008. "Una scelta radicale per i due Kino Digital"
"Da 600 schermi nel 2005, a 6.000 nel 2007"
"Con l'intermediario business più facile", "Le soluzioni offerte da Arts Alliance", "Come funziona il Virtual Print Fee"
"Digital cinema in Spain: production, exhibition and future possibilities in distribution"
"Catalan circuit of digital cinema"
"Course Report" of "DigiTraining Plus: New Technologies for European Cinemas"
"Digital Technologies: which opportunities for the cinemas?" 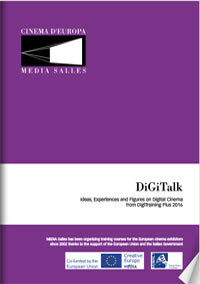 "MEDIA Salles and the European Cinema Yearbook - Special section on digital cinema". Cannes (F), 17 May 2004. "Electronic screenings: children's films in Norway"
Alternative content: novelties from Kinepolis"
"China: the operation and development of digital cinemas - Part 2"
"Digital cinema: a changing scenario"
"China: the operation and development of digital cinemas"
"Dvd and the cinema: what's the connection? 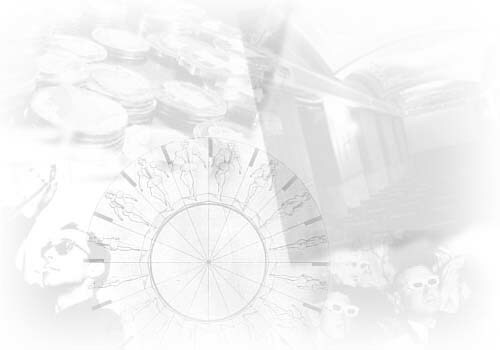 Research in France by Cnc"
"DigiTraining Plus: the first course on digital cinema in Spring 2004"
"Kinepolis Kortrijk: audiences try out digital films"
"Alternative content: the Euro1080 strategy"
"D-Cinema 4th International Forum: ALTERNATIVE CONTENT AND NEW BUSINESS MODELS". Speech by Elisabetta Brunella - Secretary General of MEDIA Salles at the IBTS Forum, Milan, 29 November 2003. "Movie card - At the cinema more often, spending less"
"The slow growth of digital cinema"
Palazzo Labia, Venice, 30 August 2003. "Mobile phones and the Internet: will they boost cinema admissions?" Speech delivered by Jens Rykaer – President of MEDIA Salles at "Cinema in the Digital Era: which technologies for which cultures?"